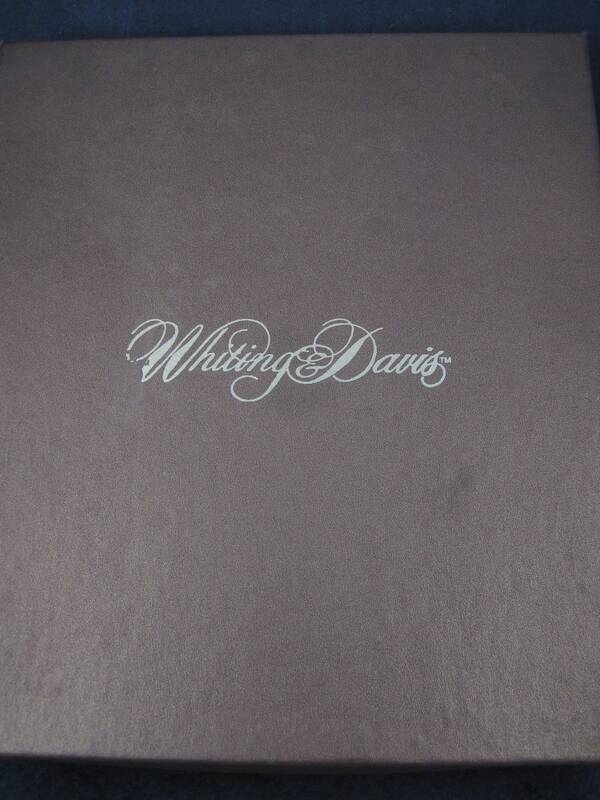 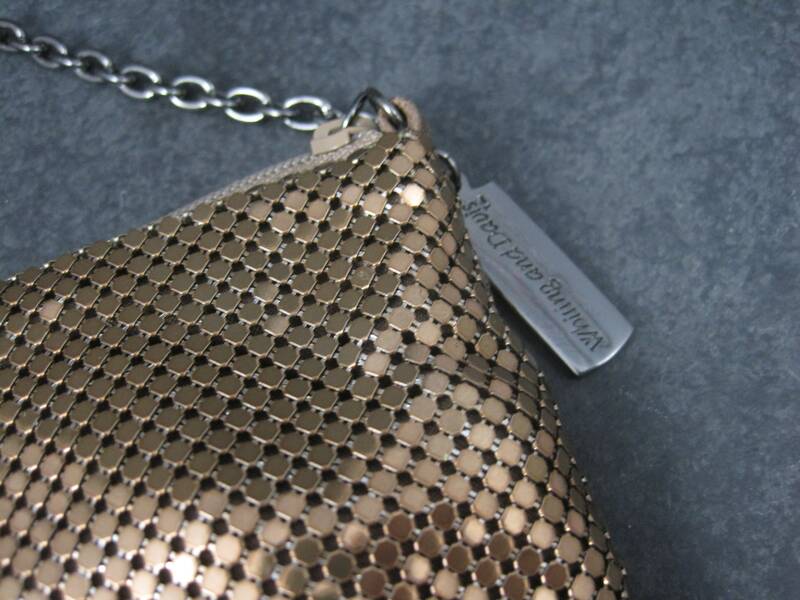 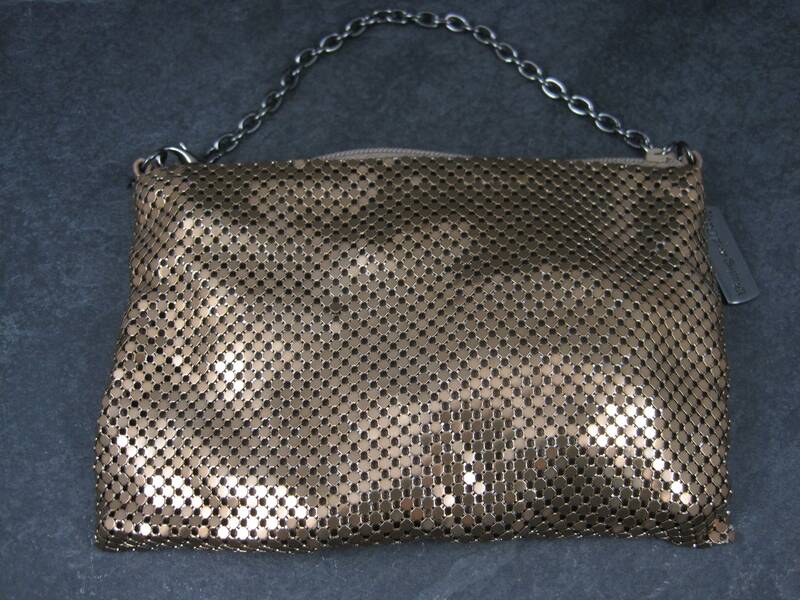 This beautiful evening bag and hand mirror are a product of Whiting & Davis. 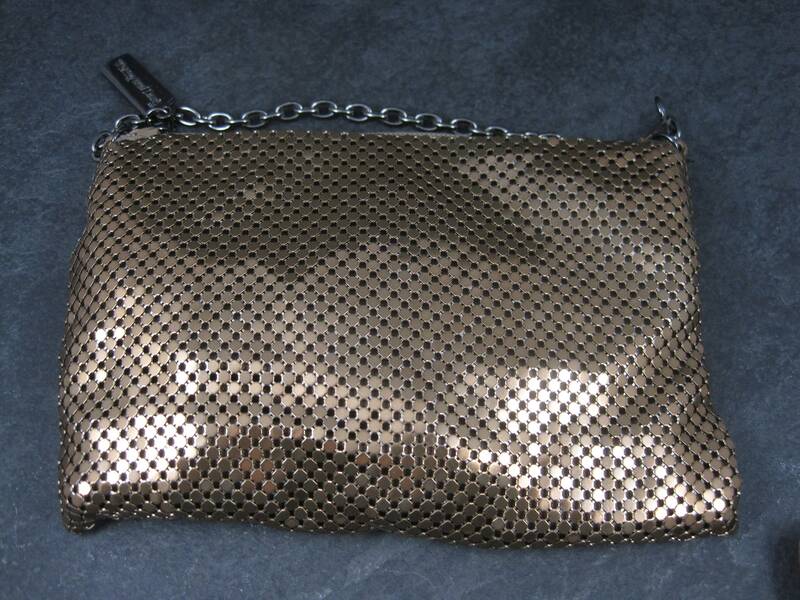 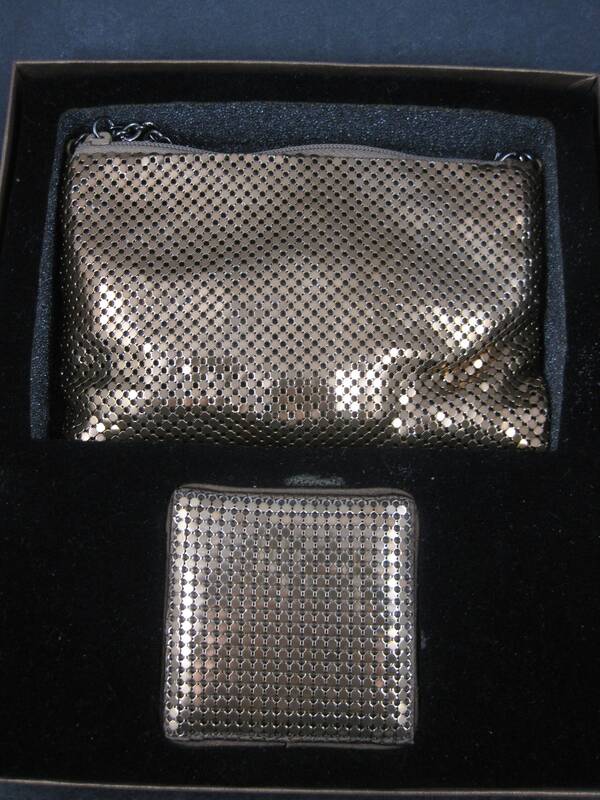 They are a goldish copper metal mesh. 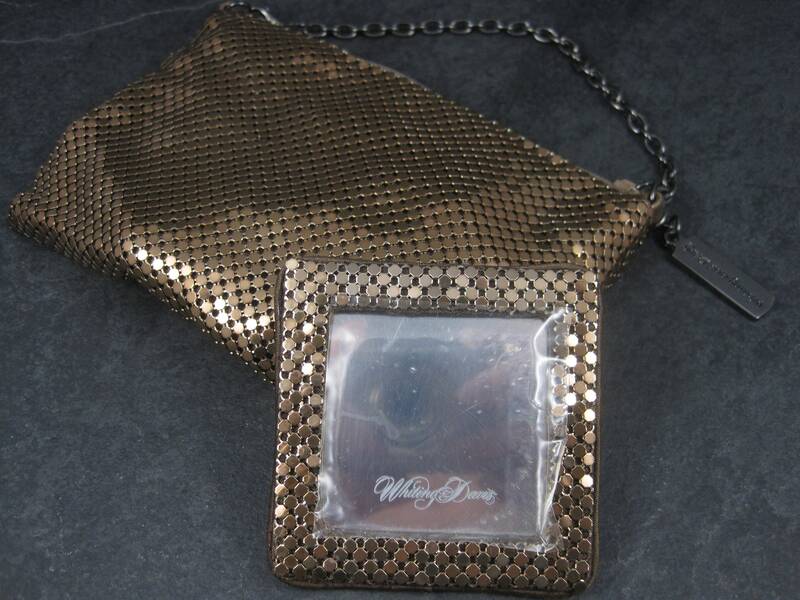 They come in their original box, complete with the original stuffing inside the purse and protective plastic over the mirror. 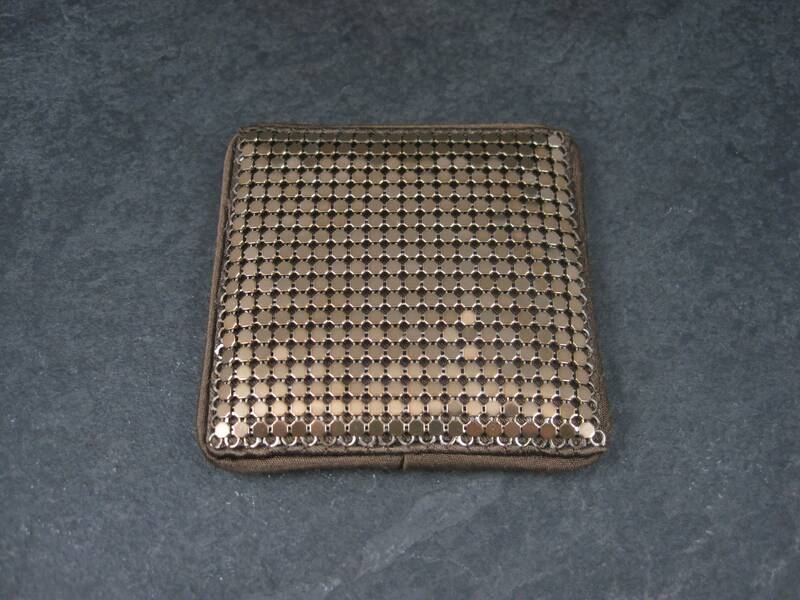 The handbag measures apx 4x6 inches. 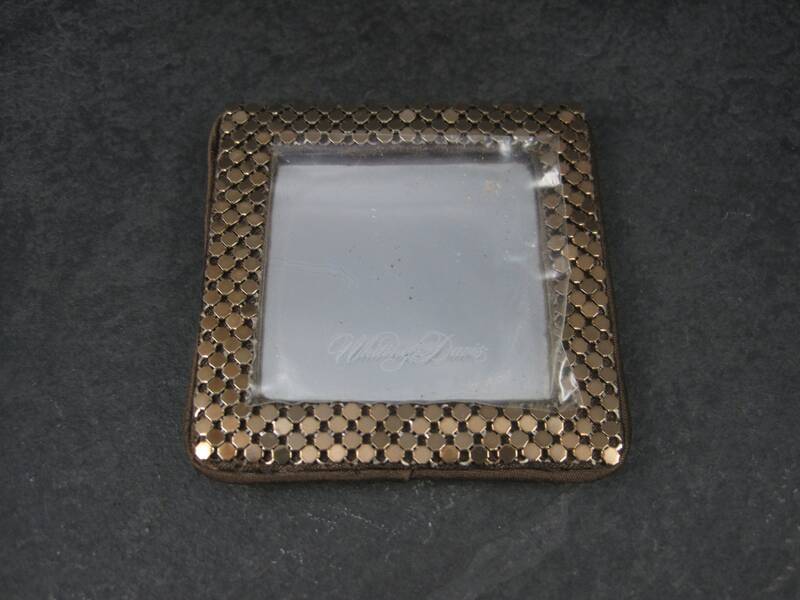 The mirror measures 2 3/4 by 2 3/4 inches.